You can place an order online or can directly call us for placing an order. Our customer service staff will help you with the right storage size for your items and price for that. 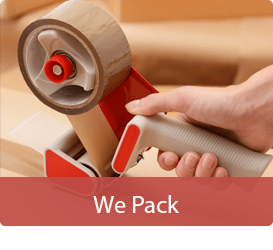 We pack and pick your goods from your door step on the date and time specified by you. We pack your goods with high quality packing materials with utmost care and store it at the facility reserved by you. When you need it back call us or email us your deliver day and time and the destination. We will deliver goods at your doorstep. Self pick up and drop off is also possible based on your choice. You can store as little as one item or as much as you want. You can move in any day and anytime once you are ready to pack. You just need to place the order online or call us and rest is our work. Our on-site manager will arrange everything for you. 3. Do I need to sign a long term lease? We offer short term as well as long term rental agreements. Short term can be as short as you want and long term can be as long as you need. Your lease will be month to month, no long term commitment is required. 4. What kind of security do you have? Our most important responsibility is customer satisfaction and that’s why your peace of mind is important to us. 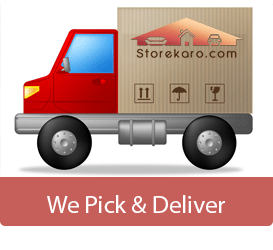 At storekaro.com your belongings are fully secured and sound. We provide clean, safe and pest controlled storage space. 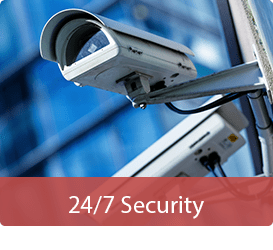 Our premise is well guarded with round the clock security guards protecting the warehouse. The premise is fully covered by CCTV Surveillance cameras, smoke detectors and well equipped with fire extinguisher systems. This makes the storage space fire, water and theft proof.Apart from this you can access your storage space whenever you want.The key of your storage unit will be with you only. It makes your storage space more confidential and private. 5. How much notice needs to be given before I move out? 6. How far in advance can I book a reservation? Storekaro.com gives you the flexibility to book a reservation up to 30 days in advance, so that you have efficient time to plan ahead. 7. How do I get my goods back? You just call us or email us the date and the time of delivery. We will deliver your valuables at your doorstep. If you want you can come to pick your goods from the Facility. 8. Can I get my goods before the expiry period of my contract? Yes, absolutely you can get your goods before the expiry period. Please refer Question 5 above for the notice period. 9. Will it be expensive to store my goods for long period of time? We provide discounts and other benefits to our customers. The long you store your goods with us the more you get discounts/benefits. 10. How do I know how much storage space do I need? 11. What are your payment terms? We want to make your storage experience convenient and hassle-free, including when it’s time to pay your rent. We provide multiple payment options. You can pay in cash, cheques or can use our online payment services which enable you to pay your bill anytime, anywhere. 12. What sizes do you have and how much do they cost? We have a wide variety of storage sizes to meet your needs. Storages sizes and prices vary. Please contact one of our Professional Storage Solution Providers for available sizes and prices. 13. 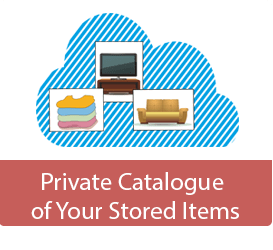 Are there any items that I am not able to store? You cannot store Liquids, explosives, flammable liquids, toxic materials and perishables. Please contact us if you have any questions regarding a specific item. 14. What type of documents do I need to provide in order to rent a space?